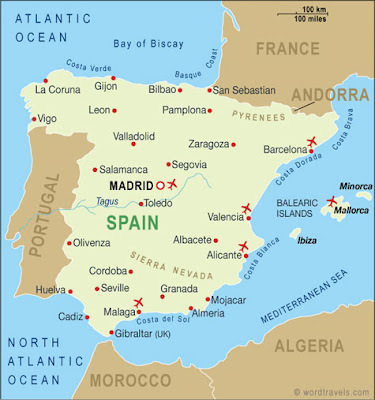 Spain is amid in southwestern Europe. 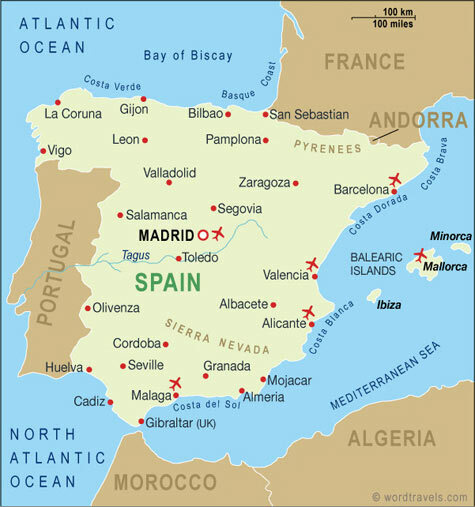 Spain is belted by the Bay of Biscay, the Balearic Sea, and the Mediterranean Sea, Portugal to the west, and France and Andorra to the north. Morocco is to the south, beyond the Strait of Gibraltar.